Welcome to the Oklahoma City Astronomy Club! Oklahoma City Astronomy Club Event Calendar from the Night Sky Network. 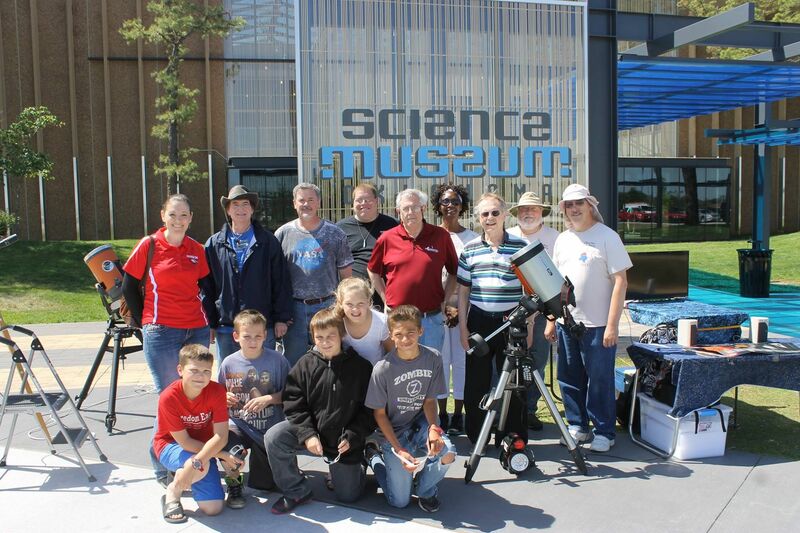 The Oklahoma City Astronomy Club provides three major benefits to our community. We provide educational opportunities to the public in the sciences and academics. We provide opportunities to contribute valuable scientific research and data to the astronomical community. And we provide opportunities for our less experienced members to grow in one of the greatest hobbies in this world or any other! Founded in 1958, our club has a long and distinguished history. We are also members of the Southwestern Region of the Astronomical League. And we host the Okie-Tex Star Party which is consistently rated as one of America's Top Ten Star Parties! We meet at the Science Museum Oklahoma located at NE 52nd Street and Martin Luther King Ave on the second Friday evening of each month. That's right next door to the zoo and across the street from Remington Park Race Track. Our meetings are open to the public and begin at 7:00pm. The meetings highlights include a welcome, club announcements, observing tips, and a guest speaker. Our program director selects speakers to cover topics from beginning in the hobby to serious observing, imaging and current research. Before and after the speaker, you will have time to browse the club's library, sign up for memberships at the membership table or visit with friends old and new. Many seasoned members will be glad to answer questions you may have about your telescope and other astronomy related topics. Click here for more information on our meeting and our presentations. We also meet once a month at a location far from city lights to observe and study the beauty of the heavens together and support each other in our endeavors and interests. Other educational and entertaining star parties are held monthly here in town. Click here for more information on our star parties. No hobby can inspire people and fire up their imagination quite like astronomy. We seek to bring the wonders of the universe to everyone first hand. We host informative, fascinating and just plain fun outings for the general public, schools, scout troops, and YOU! Please feel free to contact our Observing and Outreach Coordinator to arrange a function for your own organization or attend one of our parties yourself. Astronomy is also one of the few sciences where we amateurs can substantially contribute to the wealth of human knowledge. We strive to create an environment where those who wish to contribute will be supported and encouraged in their efforts. We know you will find the science and hobby of astronomy fascinating and we would love to help you find your own unique spark of interest. We will help you if you are just starting out, or if you have been at it a while we would love to join forces with you to help make ours a better and more interesting community.